Inspired by one of the Hawaii’s most adrenaline-pumping surf spots, Banyans. Known for shallow reefs, unpredictable swells and a mostly local crowd of expert boarders. HCL Bronze lenses are suitable for everyday variable conditions, from full sun to overcast. They provide excellent contrast and are great if you love a warm, subtle bronze tint. The PolarisedPlus , colour-infused lens technology wipes out 99.9% of glare, 100% of harmful UV and boosts colour via specially designed lens treatments. So your view is clearer, with crisper contrast and amazing brilliance. 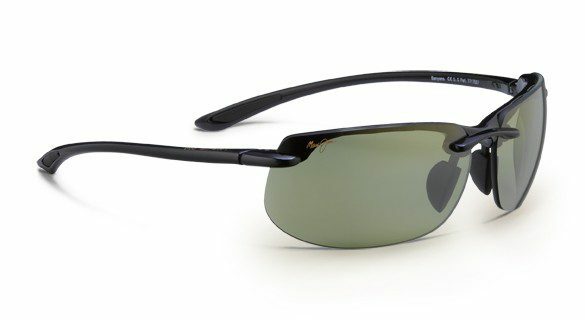 The Banyans sunglasses sport a flexible, ready-to-rip Grilamid frame with adjustable, non-slip, rubber nose pads. The rimless design ensures nothing comes between you and the view. 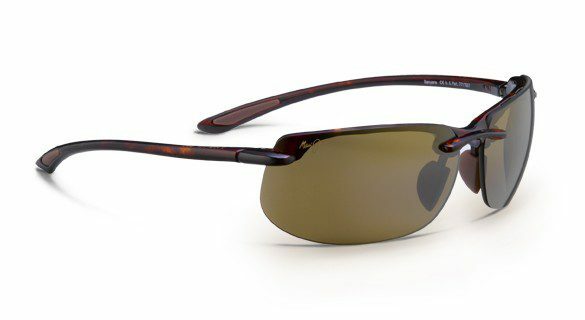 They come complete with Maui Jim case and cleaning cloth.